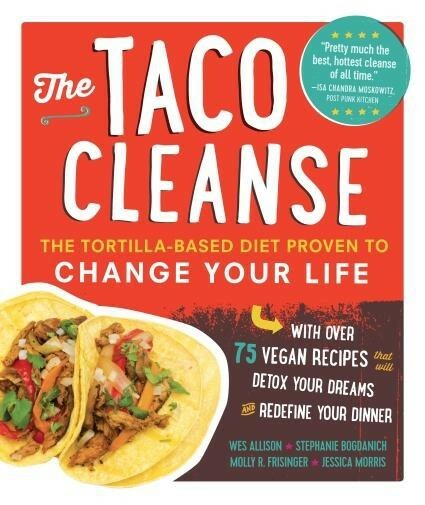 In the Taco Cleanse book we have a very simple recipe for Guacamole that you put on tacos. But when you are serving this amazing avocado concoction as a dip alongside your tacos it’s fun to add a little something extra. 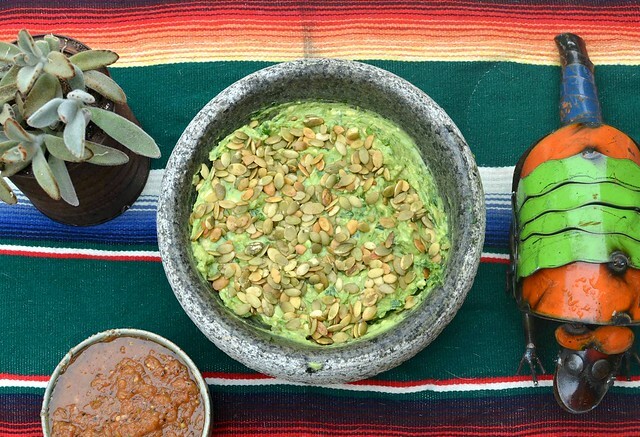 Above I just scattered some toasted salted pepitas for some extra crunch but there are dozens of ways you can make your guacamole a little more fancy. A restaurant here in Austin called La Condesa has a guacamole sampler and my favorite drizzles pomegranate molasses on the guac along with some pomegranate arils. It’s tasty and beautiful. They also do another version with chopped apples. Another spot, a trailer called Guac and Roll has an ever- changing assortment of toppings one called Guac and Awe tops their dip with grape tomatoes, red onions, jalapenos, cilantro, crumbled plantain chips and dried edamame seeds. Another has shredded coconut, toasted macadamia nuts and currants. Rick Bayless has a version with sundried tomatoes and he has another recipe where he recommends roasted garlic among other things. Jason Wyrick’s cookbook, Vegan Tacos, has a recipe for Guacamole with roasted poblanos that you can find here on an An Unrefined Vegan. Just remember, if you are having a party make more than you think you will need ’cause you can NEVER have too much guacamole. Ever since Van Halen’s legendary ban on brown M&Ms, we have been fascinated by popular musicians’ tour rider requests. A rider is the comprehensive list of contractual obligations the tour manager must provide for a successful performance. These include technical and security provisions, but of most interest to us are the backstage food requests. Artists know that what they consume before a concert directly effects how much they will proverbially melt the audiences’ faces. Jack White’s rider was released online in February preceding a concert at University of Oklahoma. 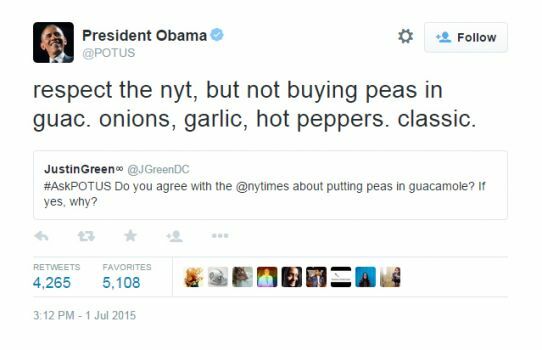 The 20+ page list of demands includes a clearly defined guacamole recipe. The specificity of his instructions leads us to believe that Jack White has stumbled onto some initial benefits of the Taco Cleanse. Clearly, his energetic act couldn’t be undertaken without the higher vibrations provided by smashed avocados and lime juice. Imagine how his music would be elevated if he requested exclusively taco-based superfoods for his pre-show munchies. 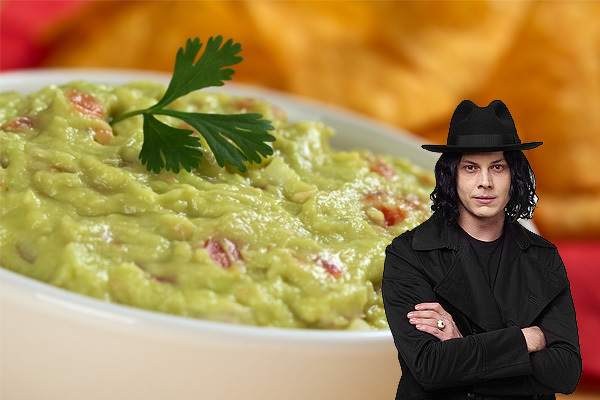 We urge you so contact Jack White’s record label (@thirdmanrecords) and suggest that he and his labelmates include the Taco Cleanse on their tour riders in the future so they may rock out at a truly Fuego level. If you are unable to sneak backstage to try his signature dip, you can find the recipe below to enjoy in the comfort of your own home. Mix all ingredients in a large bowl, careful not to mush the avocados too much. We want it chunky. Once properly mixed and tested, add the pits into the guacamole and even out the top with a spoon or spatula. Add 1/2 lime to the top later so you cover most of the surface with the juice (The pits and lime will keep it from browning prematurely.) 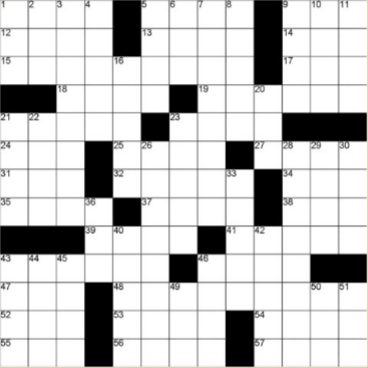 Cover with plastic wrap and refrigerate until served. Please don’t make it too early before it’s served. 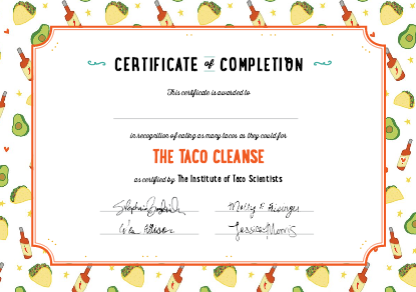 We’d love to have it around 5 p.m.
We at the Taco Cleanse believe in experimentation. If smashed peas appeal to your palate, we encourage you to eat them with pride.